WordPress is one of the most popular Content Management Systems (CMS) and blogging platforms. While it has historically been used for blogging, WordPress has come a long way and now powers many websites, running on about 28% of the entire Internet. 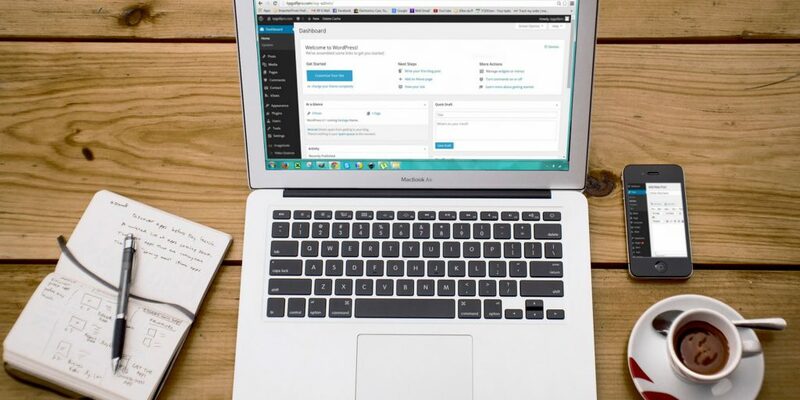 If you’re considering using WordPress or already use it, you may be well aware that there are thousands of plugins and themes available to use and customize. However, if you find that you’re limited to what’s available or would like assistance on a more complex project, it might be time to consider bringing a professional who can help. If you’re wondering when might be the right time to bring help onboard, check out the following tips! There are hundreds of pre-made themes available from sites like ThemeForest.net that can be customized, from layout to colors to pages. However, they might not meet your expectations for the design or match the branding theme of your organization. Some theme options aren’t customizable at all, and some plugins aren’t compatible with certain themes. If any of these sound like your scenario, hiring a WordPress designer or developer is a great next step to take. Running into that Error 500 but don’t know what to do? If your website is running into errors or isn’t functioning as expected, you might consider browsing the web or asking for answers on forums. However, this can be a time-consuming process. WordPress professionals can help you to find and resolve the issues so you can get back up and running (or started!). While you might be interested in testing out new features or trying to create a custom website on your own, your time might be limited. If you’re trying to meet a deadline to launch your website, a WordPress designer will be able to provide a timeline and estimate on how long it will take to complete what you’d like to achieve. If you’re considering creating something beyond a simple blog or website, you may be able to benefit from someone who can help you accomplish your goals by providing and executing ideas that will benefit your business or organization. After all, we believe a good designer and developer should also be a visionary. For the majority of businesses, their website is how they present their image to prospects and customers on the web. That means a high quality website should result in engagement and visitors. If your website has been online for a while but isn’t attracting any visitors, it’s time to revisit your digital marketing strategy. So, we’ve provided a few tips that we hope will help you decide when is the right time to hire a WordPress developer or designer to help. Think of it like an investment into a marketing tool that will benefit you. What do you think? Leave your comment or feedback below! We're ready to help you get to the next level in marketing.